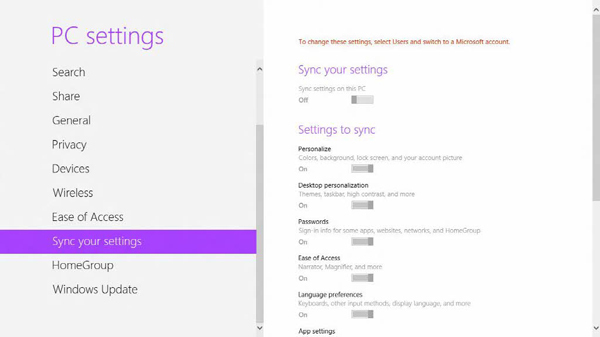 What is Sync your settings in Windows 8 PC Settings? By signing in with Windows Live ID, users can synchronize their settings on multiple PCs and use any PC in the same manners. When using a local account linked to Windows Live ID, the user can synchronize each Windows 8 PC by going to Settings Charm > Change PC Settings > Sync your settings.